We offer a wide selection of extraordinary vinyl flooring which will not discolour, peel or lose its allure. 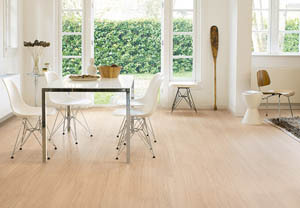 Your floors can have the wood effect without the costly drawbacks. Our vinyl floor products are incredibly versatile. Aside from being easy to clean, waterproof, and stylish; they offer a pocket-friendly flooring solution. Please fill in the quick form and we’ll email you a cost estimate. What is down on the floor at the moment? Is the area exposed to direct sunlight? Would you like a light or dark colour vinyl? What rooms, or application will the vinyl be used in? Click Vinyl, or Glue down Vinyl?